At Restorex, we have a pride in excellence. We aim to provide the very best quality of service to both our clients and the buildings in their care. Our purpose is in preserving our built heritage, for the pleasure & benefit of current & future generations. It is important to us to operate in an honest, positive and approachable manner at all times. We promote & nurture skill, best practice & integrity. Our Clients are very important to us. We are rewarded, gratified and strengthened by their referrals. 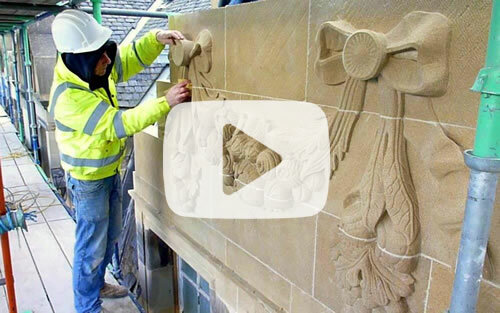 We are fortunate to have been involved in many restoration and repair projects over the years and have worked on many well-known listed buildings in Edinburgh and throughout the UK. We have been employed by Local Authorities, Architectural and Surveying Practices and Private Clients, to act as Principal Contractor on a number of projects. Whoever the client, we are committed to provide a high quality, range of services, ensuring your project objectives are delivered on time. Each project we are engaged in is monitored and managed by our team of highly experienced Contracts Managers and Supervisors. We also take health and safety extremely seriously and each project we carry out is overseen by our in-house Health & Safety Officer. In addition, 30% of our workforce are fully qualified first-aiders. Each of our operatives has been with our company for a number of years and we are proud to operate a 100% CSCS accredited workforce. In addition to this, most of our tradesmen also hold Gold Heritage Skills Cards, allowing them to work on buildings built pre-1919.